Well firstly I'm not a floating burger but a real boy, which may come as a bit of a shock (sorry!). Basically, I'd been going to street food markets for ages as a punter, picking out dishes on the back of seeing these awesome photos on insta and I thought "hey, why not do that myself and see what happens...?" 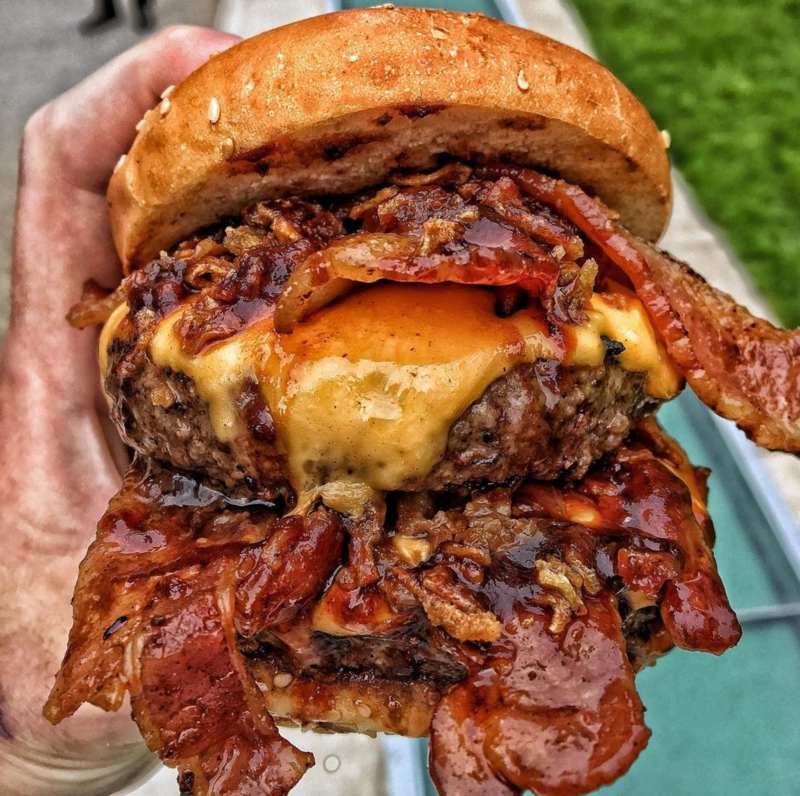 We’ve met you in a real life and you’re not a bad looking burger... Why do you and other street food influencers stay anonymous? Ha, well I travelled through Cuba trying everything I could off the local stalls and the closest translation I got on one thing was ‘raccoon-bat-squirrel’!?! So that’s the best thing I’ve eaten... (errr, banter) but otherwise I’ll have to plump for @LeBunUK’s truffle double double burger (cos truffle whore) or these amazing okra fries I had once from @Kolkati - I’m not sure if they were a one off and maybe I’m just creating a false fantasy, but that's the beauty of food I guess!? It's just totally gnarly and there are so many things you can do to create a shot. In a restaurant you either get a photo of the plate from chest level or a birdseye view (I must stop going to those fish finger joints...) but with street food you can get it right into your hands, your mouth, your hair! There's just something about burger juice gushing down an arm that's infinitely sexier than a plate of prim and proper food. Only getting bigger and better from what I can see. I think the perception of street food as lesser quality and basically a minor health risk is slowly disappearing. Not quick enough though. 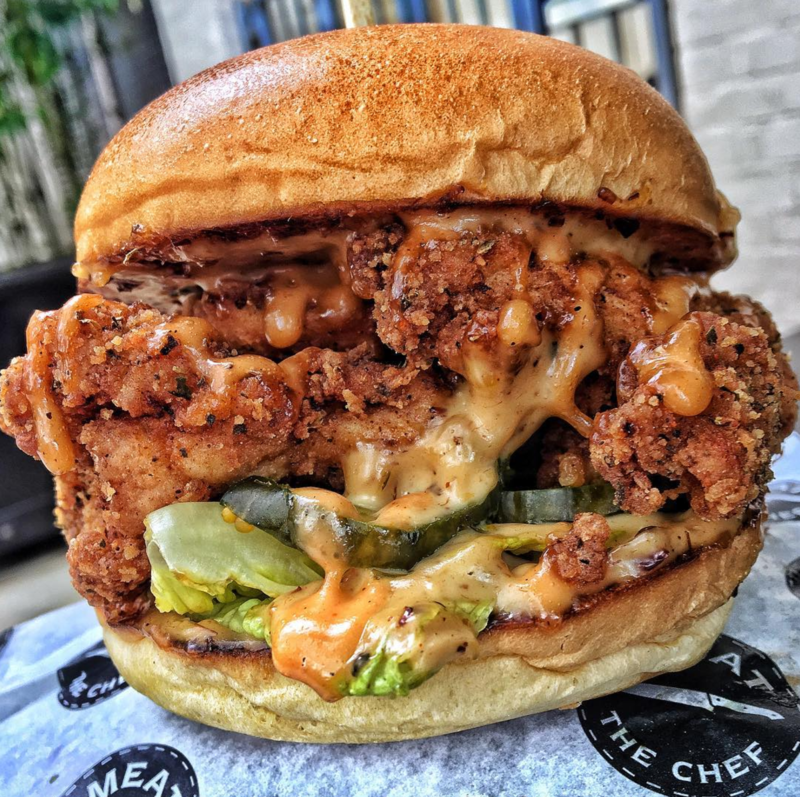 I'd turn the rivers to mango chilli mayonnaise, make the skies pour with othersidefried honey butter and hand out street food burgers on every corner to show people that they are THE BEST burgers money can buy, not just what you load up on after a big night out. Errrrm...I think I’ll go with a toasted marshmallow on a s’more!? My caramelised outer layer tastes pretty good I reckon, I’m soft and squidgy in areas and there’s hidden crackers beneath that. To be honest, I just want to eat myself. Well, when you're posting everyday it's actually quite difficult to avoid hitting up my favourite places all the time, so having every market and trader at your fingertips is a big help when I'm planning some food adventures!